For the first time since Katie’s been pregnant the second time, she predicted a boy, in a note she sent me this morning. Her prediction was validated with an image at 2:15 p.m. as Sarah, Katie, and I looked at the screen on the wall during an ultrasound. 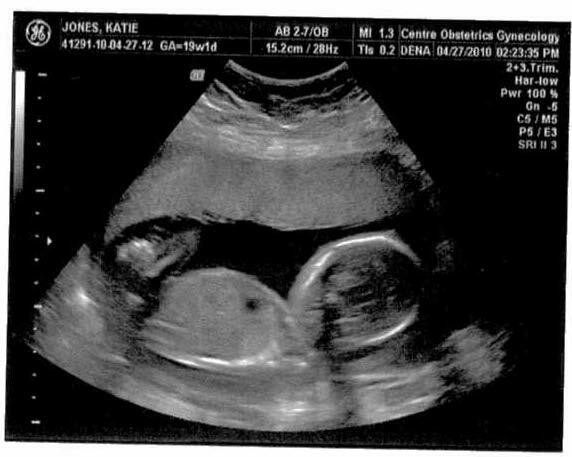 When we checked in with Katie’s OB today, the fetus was 15.2 cm with a 143 bpm heart rate. We’re thrilled of course, although Katie and I agreed last week that we would be every bit as excited for Jackie to have a little sister. Oh, and just as Jackie’s prenatal concert experience included R.E.M., Modest Mouse, and The National, McLain’s first live music in utero will be the My Morning Jacket show Friday night. The boys from Louisville will be joined for several songs by the Preservation Hall Jazz Band. 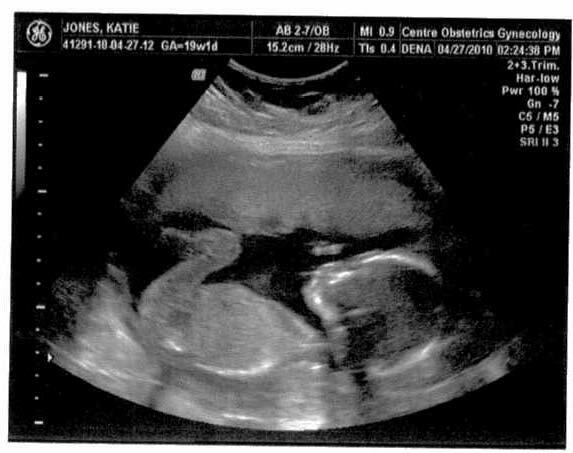 Here are a couple of ultrasound images of little McLain (Mamabea’s maiden name, and the little boy’s handle). He will go by the name McLain, but we still have to decide on his first name.